Motorcycle helmets are the most important tool for a biker’s safety. In fact, they protect our head. Helmet choice is critical. 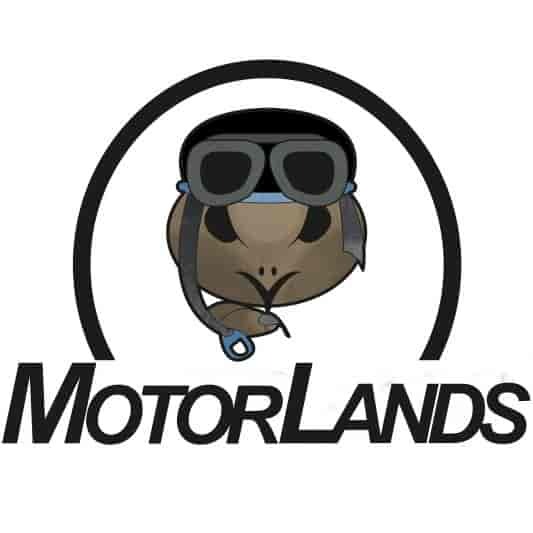 Motorlands Team chooses only the best helmets because security is not price. The most protective motorcycle helmets, the full-face, repair us from the wind, the insects and debris lifted by the heaviest vehicles. Even from the rain. They provide greater acoustic comfort at high speeds. Instead, open helmets are less protective in case of fall and accident, but they can be fun to wear when it is hot. While in the event of rain, fog, moisture and cold are not the best. Now we talk about the difference between a modular helmet and a full-face helmet. The first one has a mechanism that allows raising the chin. So, it is like a demi-jet helmet. It is a useful system for circulating air when it is hot. But when the helmet is in closed configuration becomes protective as a full-face one. Modular helmets have a weight higher than the full-face because they have a mechanism for opening/closing the chin. They also have a larger size. It is possible to divide the full-face motorcycle helmets and some modular helmets into two sub-categories. Sport and Touring. The first one adapts to the typical sports guide. The chest is very close to the tank. Its aerodynamic is designed for this use. So, it could be noisy and unsteady if used them for a long trip. Instead, touring helmets have less fit than sports. They must be able to be worn for hours without causing a nuisance. So, their size tends to be larger and the softer inner padding. Multifunctional helmets are customizable. They can be transformed into open or full-face helmets as needed. Protruding chin and parasol (removable) characterize the Off-road helmets. They have the visor. But you can prefer to wear a mask that covers the eyes and part of the nose. There are also more touristic cross helmets, with more standardized aerodynamic visors. Jet and Demi Jet helmets are like each other and are part of the open helmet. The first ones do not have the chin and protect us to the ear zone. Demi Jet helmets are more protective than Jet because they also cover the jaws. Both types of helmets may or may not have the visor. Helmet selection is an important task. The first question is “how do I want to use my future buy?” If we use the motorbike or scooter in the city, you can choose for a Jet or Demi Jet helmet. While if I want to make a long trip, it is best to opt for a full-face motorcycle helmet, modular or multifunctional. But, you must remember that the safest helmets are the full-face and modular ones. Comfort is a subjective factor. I’m better off with the hunting helmets, which are well padded and quieter than everyone else. One factor to consider is the possibility of disassembling the inner padding to wash it. Those who do not like sunlight should consider models with sun visor, much more comfortable to wear glasses. The size of the helmet needs to be chosen with great care. If you have any doubts, please contact us here or via Facebook. Helmet paddings become wider with time. It is important to prevent. In fact, a helmet after a few months can become less adherent. So, it could be unstable at the highest speeds. The helmet must adhere well to all parts of the head without causing annoying pressure. It may not slip over when the head moves to the right and the left, top and bottom. Also, the weight of the helmet is an essential element. Especially if we want to make long trips, or if we have some problems with the neck.